I Spy . . . a New Restaurant Opening Soon! I spy with my little eye activity going on in the old Pendergrass Hotel at the southwest corner of San Benito and Fifth Streets. The sign says that a new restaurant is going up. 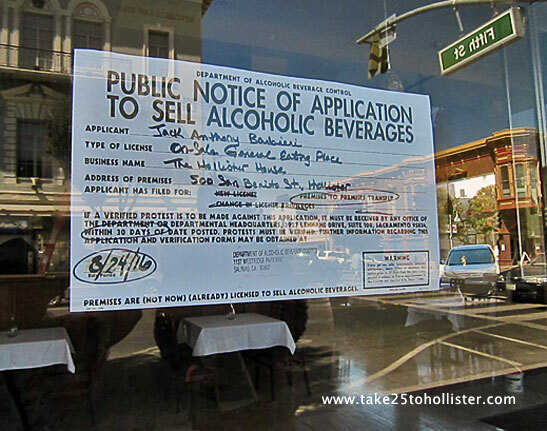 A little bit of research uncovered a Benitolink article written this past July about the upcoming Hollister House Bar & Grill. The article stated that the owner hoped for an October 1 opening. That's okay. 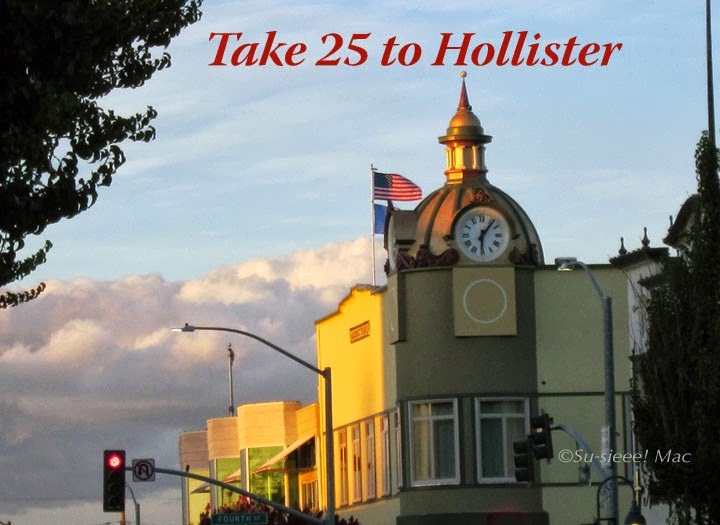 Hollister's ready when you are! 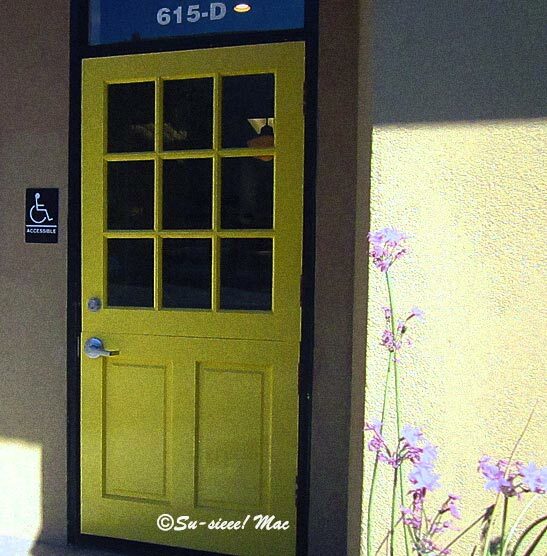 I spy with my little eye a happy yellow door around the middle of Downtown Hollister. Open the door at 615 San Benito Street and enter the Farmhouse Cafe, a restaurant that opened recently. I haven't tried it yet, but I've heard many good things about it. Fresh local organic ingredients, friendly people, and delicious food. What's not to like about that, right? Farmhouse Cafe is open from Monday to Saturday, 7:00 a.m. to 2:00 p.m. Check out the Farmhouse Cafe website to learn more about them. 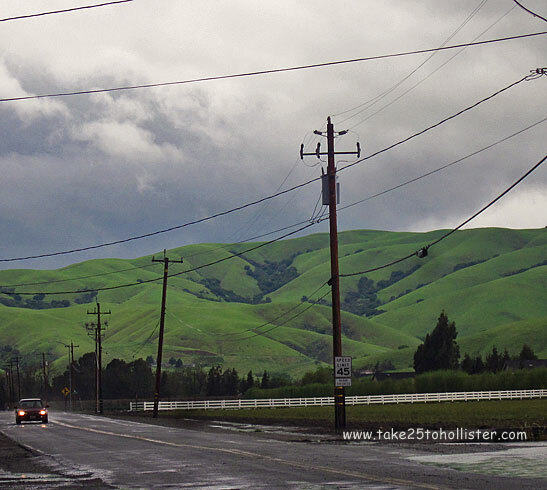 Those green rolling hills run above the Pacheco Pass Highway (aka Highway 152). I took the photo from San Felipe Road, by the Dunneville Cafe & Market. They make a delicious tri-tip sandwich. It was well-worth a trip in the rain for the Husband and me the other day. Yummmm. Want to eat a delicious, heartwarming meal that features locally-grown and made products in Hollister? 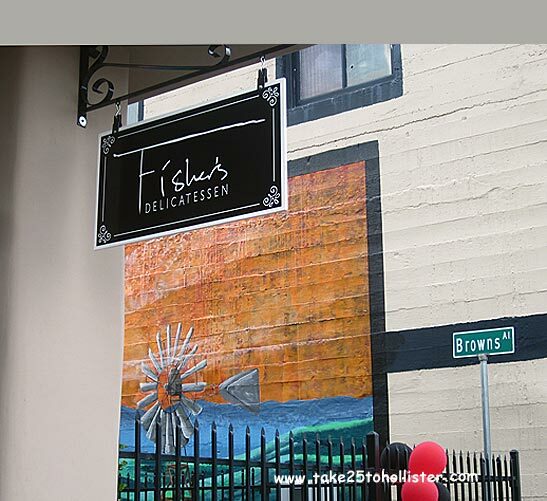 Then check out Fisher's Delicatessen, at 650 San Benito Street in downtown Hollister, that recently opened. The new restaurant is owned by Chef Mike Fisher, a popular caterer, who is well-known in the region for his amazing dishes. 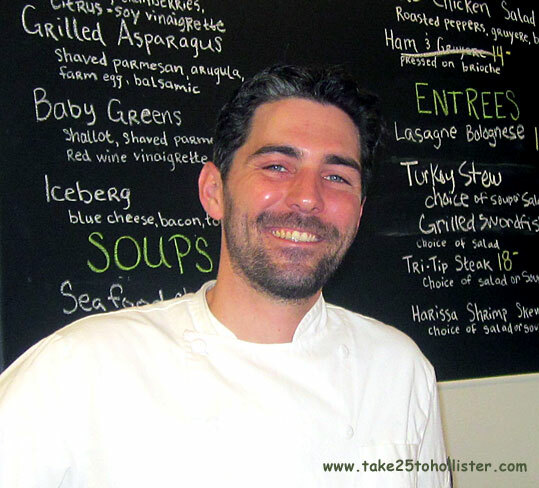 A Hollister native, Chef Mike graduated from Le Cordon Bleu Academy of Culinary Arts in Paris and broadened his culinary skills and experience at the Hotel del Coronado, Bernardus Lodge, and other distinguished restaurants. Chef Mike has also been part of the team putting together the annual San Benito Olive Festival. Fisher's Delicatessen offers both sit-down service and take-out. Its creative menu includes small plates (such as babaganoush, hummus, and marinated olives), salads (grilled asparagus, hello), soups (seafood chowder! ), sandwiches, and entrees. 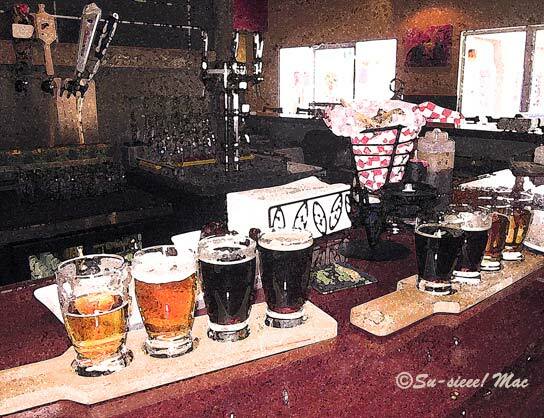 If you're into craft beer on tap or the wines from San Benito County, the restaurant has several choices for you. When the Husband and I were there yesterday, the entrees included lasagne bolognese, turkey stew, tri-tip steak, and harissa shrimp skewers. I had the stew, which was made with free-range turkey. There is definitely a difference in what ingredients are used. Yummmmmm. Fisher's Delicatessen is open from Tuesday through Saturday, 11 a.m. to 8 p.m.
Last September, I drank a locally handcrafted beer that was deliciously the best in my book. (I wrote about the beer here.) Made by Brewery Twenty Five, I didn't think they could top their Many Moons Stout. Ha! One month ago (January 23), at Running Rooster, the Husband and I drank what I consider the best handcrafted beer I've tasted thus far. Coconut Moons Stout, which is also made by Brewery Twenty Five. Mmmmmmmm. 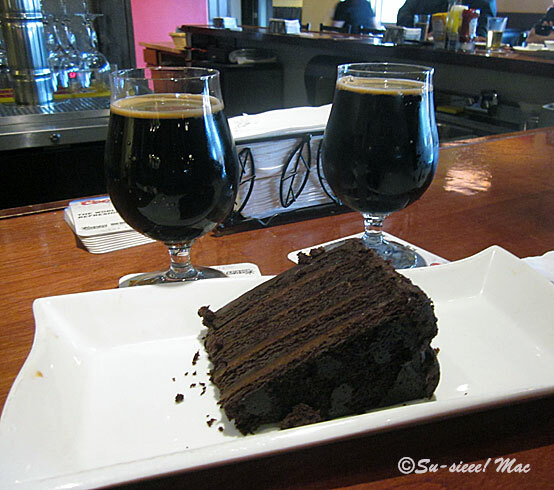 We paired the beer with a slice of rich thick chocolate cake. A sip of beer, a bite of cake. Repeat. Repeat. Again, repeat. Yummmmmmmmm. 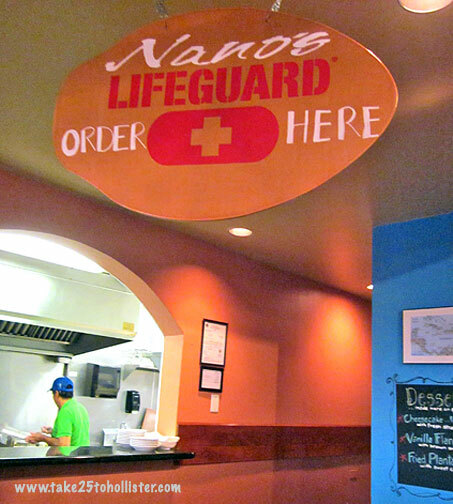 Nano's Caribbean Restaurant is something different for Hollister. It's a wonderful difference, too. 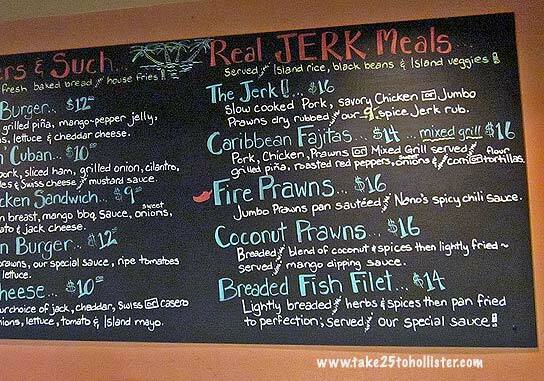 Jamaican jerk chicken, coconut prawns with a mango dip, fried plantains, black beans, and more. The restaurant opened several months ago in the former site of Ella's near Ace Hardware on Airline Highway (aka Highway 25). The Husband, the Godmother, and I had dinner there earlier this week for the first time. We all ordered dinner plates—jerk chicken for the Husband, coconut prawns for the Godmother, and pulled pork fajitas for myself. 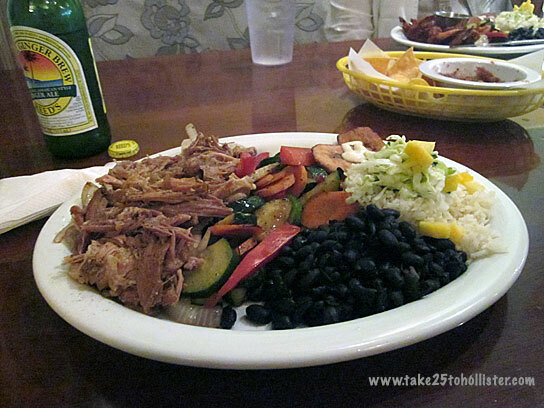 Each plate had generous portions of the entree, grilled vegetables, black beans, rice topped with a bit of slaw and pineapple, and a slice of fried plantain. I not only had a delicious dinner, but lunch as well the next day. 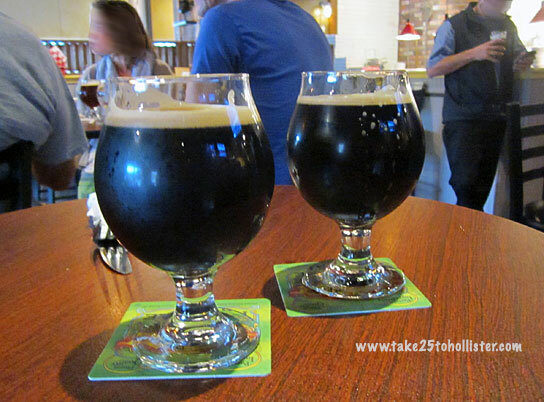 Yesterday morning, the Husband and I read on Facebook that Brewery Twenty Five delivered a freshly brewed keg of stout beer in Hollister. Our quest was on to get a taste of the beer handcrafted by local brewers Sean and Fran Fitzharris. We knew it could only be deliciously out of this world. And, if we didn't act fast, we would miss out yet again on tasting their brew. Although the young couple established Brewery Twenty Five a couple of years ago, it has only been in the last few months that they have started selling their beer to retail outlets. Because the beer is brewed in small amounts, Brewery Twenty Five is not at the point yet to have a regular delivery schedule. When you hear that so-and-so has it on tap, be sure to get there tout de suite. It won't be available for long. 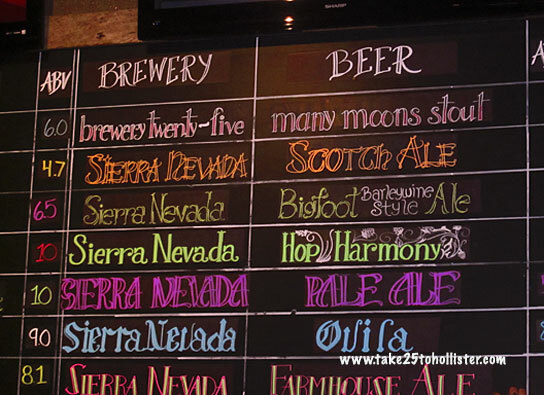 So, where can you find Brewery Twenty Five on tap from time to time? 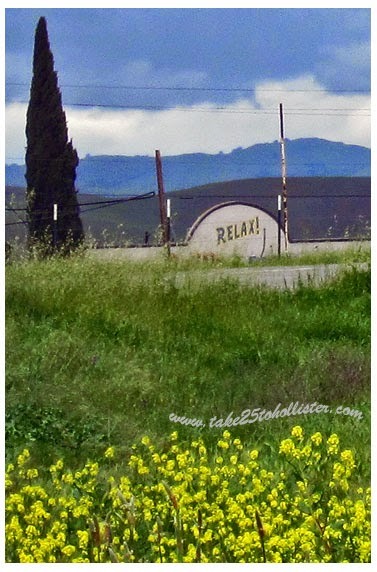 Running Rooster in Hollister and Bear's Hideaway in San Juan Bautista. 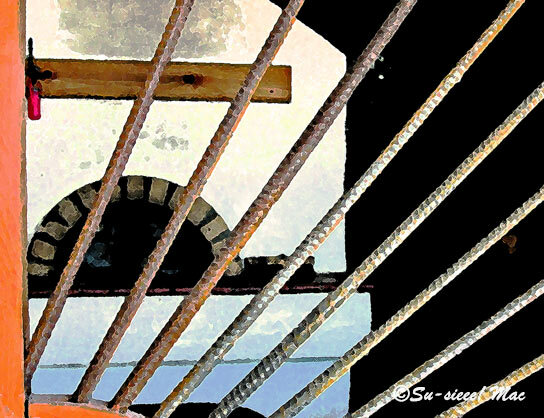 And, soon, Vertigo Coffee in San Juan Bautista will be serving it. Yesterday evening, the Husband and I did end up drinking a pint of the brewery's Many Moons Stout. It was absolutely amazing and very smooth. After a couple of sips, I was no longer in a grouchy mood. I think it tastes better than Guinness, and at one point the stout reminded me of Courvesier. The delightful Sean and Fran happened to be at the Running Rooster bar last night. They told us that beer was made with an expresso blend from Vertigo Coffee and cacao nibs from TCHO, a chocolate company in the SF Bay area. I can imagine making an ice cream float with Many Moons Stout. Yummm! The pizza at Vertigo Coffee in San Juan Bautista is totally yummylicious. I love that the pizzas are baked in an outdoor wood-fired pizza oven on Vertigo's patio, and that I can drink the best fresh-roasted coffee around or a local brew while waiting. 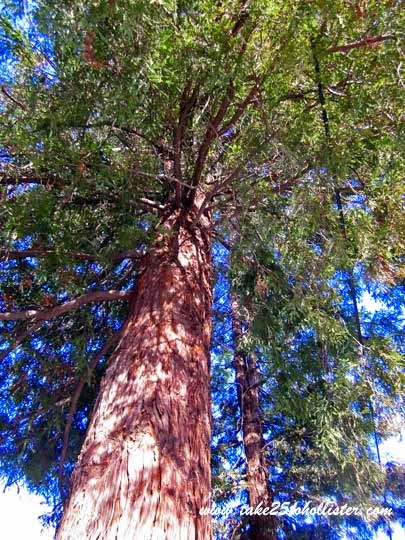 For more about Vertigo Coffee, check out this article in Monterey Bay Edible. Scroll down to the piece titled "Café Culture". Garlic fries go great with beer at Running Rooster, at the corner of San Benito and South Streets. The restaurant has so many great choices on tap that the Husband and I sometimes like to get a beer sampler. Yup. Yesterday, the Husband and I ran away from Hollister for a few hours and headed to the coast. I realized it has been a long while since I've been to the beach when I saw the kitesurfers at Waddell Beach. Wowza! 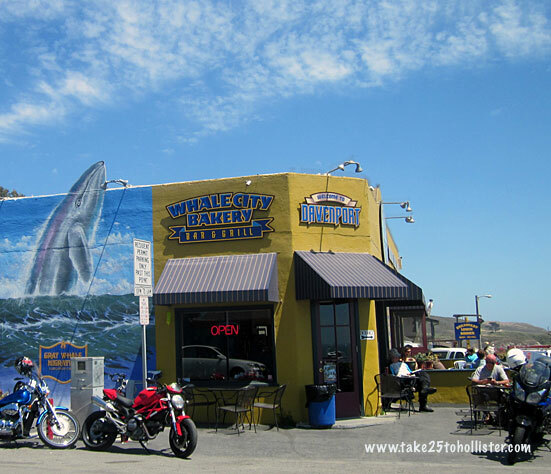 For lunch, we stopped at the Whale City Bakery, Bar & Grill in Davenport on Highway One. A family-run operation, it opened in the 1990s as a bakery. Then somewhere along the line, the family added sit-down service for yummy meals. Several nights a week, the restaurant also offers live music. By the time I thought about taking photos, our plates were nearly empty. The Husband had a Reuben sandwich bursting with corned beef and sauerkraut that came with a healthy portion of green salad. He was glad he didn't opt for the french fries, otherwise he would've been stuffed. I had the calamari appetizer, which was lightly coated and fried. I was happy that they threw in the squid heads. While the Husband was working away on his second half of the sandwich, I asked for a cup of coffee and lemon poppy seed muffin. Very mellow coffee. Although the muffin was dense, it did not feel heavy on the tummy at all. The exact nutrition was what I needed to propel me up a hiking trail later on. 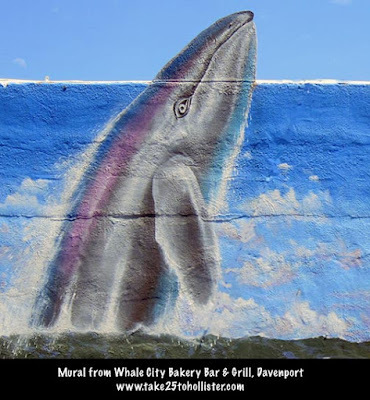 Whale City Baker, Bar & Grill is a perfect stop for a meal if you're ever up near Davenport. Some people say that you can actually see whales from the restaurant. And, they didn't mean the murals. For more info about the restaurant, head over to its website or Facebook page. The next time you sit on the patio at the Third Base Burger Bar on San Benito Street, check out the mural on the wall behind the sports posters. This beautiful mural, titled Fruited Plains, was painted seven years ago by art students at Gavilan College under the direction of Dr. Arturo Rosette. To read more about the mural, as well as see additional photos of it, please click here. 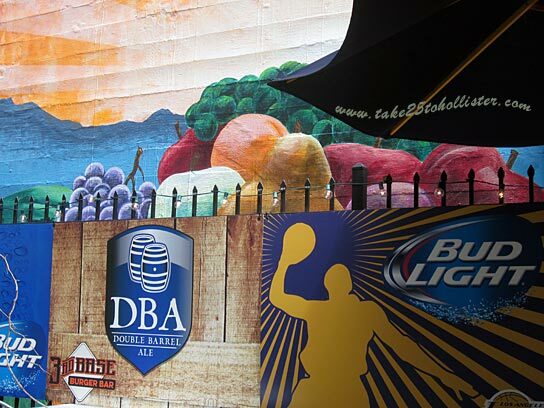 The Fruited Plains mural in Brown Alley. The Husband and I had breakfast at the 3rd Base Burger Bar after watching the Portuguese Festival parade this past Sunday morning. Yup, the beer and burger joint serves breakfast on the weekends. It was perfect weather for eating out on the patio. As I first looked out at San Benito Street, I was reminded of Union Street in San Francisco. No. I wasn't drinking a beer or Bloody Mary. From behind the windows at Dunneville Cafe and Market, I watched a repetitive scene going on across the street at Clean Green Recycling. 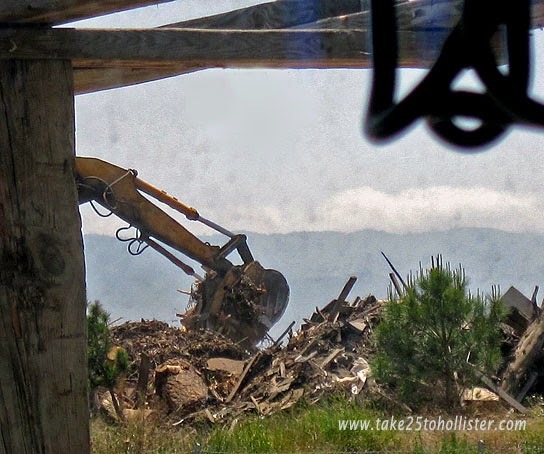 Humongous yellow mechanical jaws mangled, pounded, and chewed away at the huge piles of forsaken wood, which would eventually become wood chips for landscaping. The wood must've tasted pretty good to that machine, just as the broaster chicken and tri-tip meal that we bought at Dunneville tasted to us. Yummmmm. 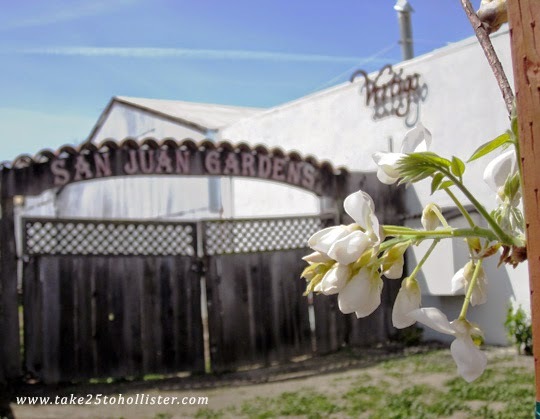 I've always liked the sign "San Juan Gardens" that graces the side gate at Vertigo Coffee in San Juan Bautista. I like to imagine a donkey playing under the sign. 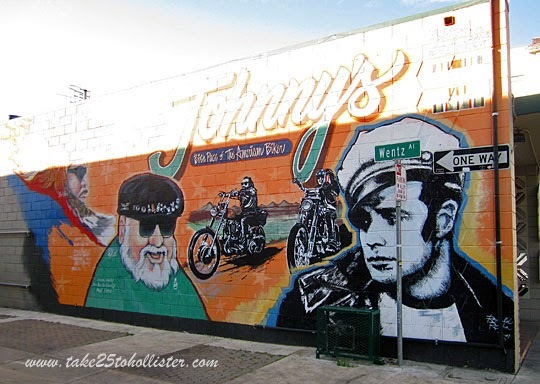 The biker's mural on the Wentz Alley side of Johnny's Bar and Grill is a familiar sight. Hundreds of bikers and tourists take photos of it as they visit Hollister, the "Birthplace of the American Biker." 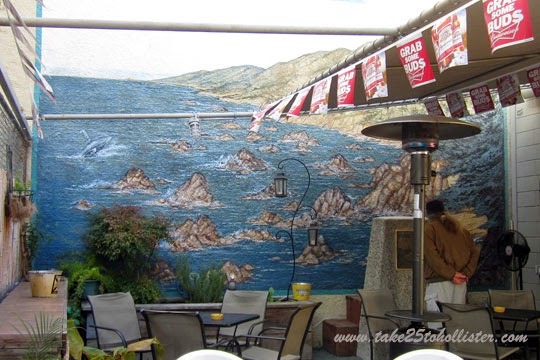 Not so familiar is the ocean mural on Johnny's patio. 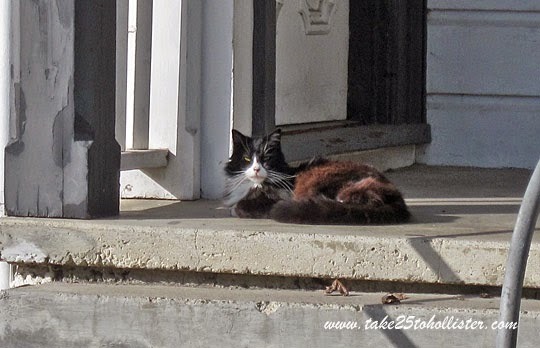 Today, I'm linking up with Monday Mural hosted by Oakland Daily Photo. 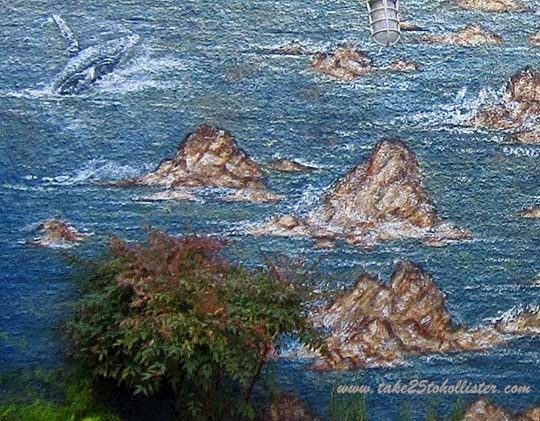 To see other murals from other parts of the world, please click here. Walking east on Wentz Alley the other afternoon, I got excited as I approached the Biker mural at San Benito Street. No garbage cans! Finally, I could get an unobstructive view of Johnny's Bar & Grill mural. But, then, I noticed the light. Oh, well. It still was a great photo opportunity. By the way, the Hollister Freedom Rally is set for July 3, 4, and 5. 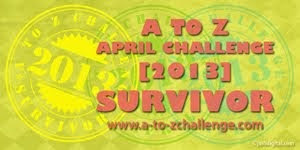 For more info about the rally, head over to it's official website. Today, I'm hooking up with NatureFootstep's Digital Art Meme. Click here to see awesome work by bloggers from around the world. No. That's not an epitaph on a tombstone, although it would make a great one. It's actually part of a sign on a building near the intersection of San Juan, Mitchell, and Union Roads. Yup. It's the restaurant called Relax! Grillin & Chillin Roadhouse. Today I'm participating in Our World Tuesday. 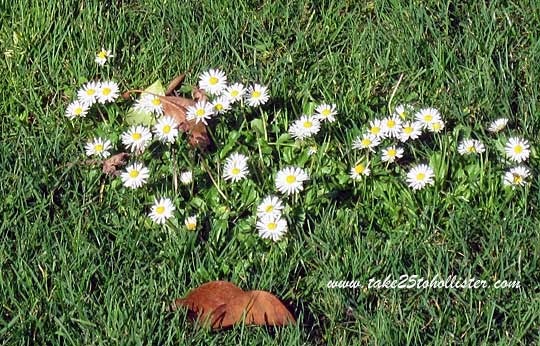 Please click here to read posts by bloggers from around the world. 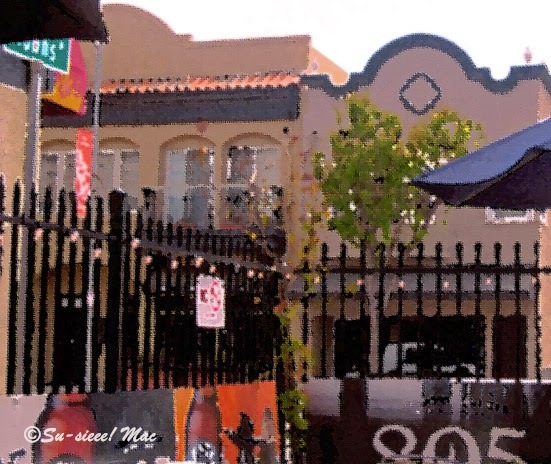 Yesterday, you saw a building on San Benito Street that looked like it was two buildings. What do you think: Is that one or two buildings in the photo? Two buildings, right. It wasn't obvious to me until I looked near the roof line and saw a slight gap between the two Italianate-style buildings. The folks who renovated the buildings in the 1990s did a nice job of making them seem like one. 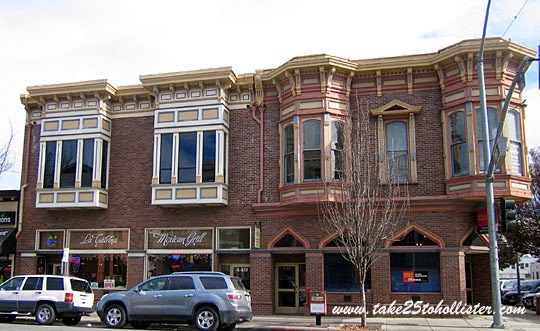 Built in the late 1800s, both commercial edifices are contributing buildings to the Downtown Hollister Historic District. Today, we'll focus on the site at 445 San Benito Street. 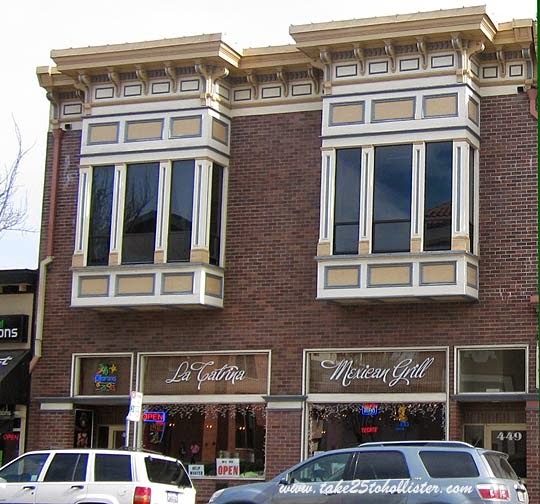 This two-story commercial building is an example of Italianate-style architecture, which was popular in the United States in the 18th century. Notice the elaborate details of the cornice with recessed panels, curved brackets, and dentil course. And, check out those bay windows. Very handsome, don't you think? Currently, the restaurant La Catrina occupies the first floor of the building. 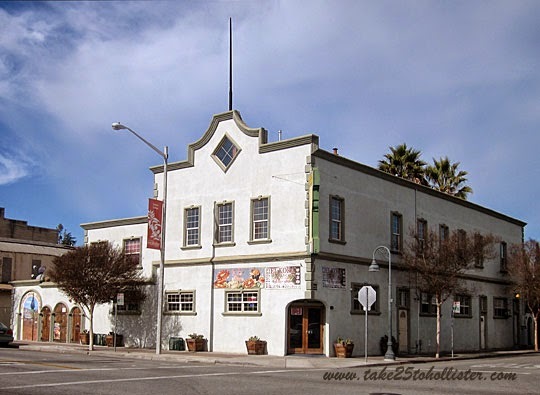 At the northwest corner of Fourth and East Streets stands another contributing historic building to the Downtown Hollister Historic District. The two-story commercial structure at 204 Fourth Street is a combination hotel and restaurant. I don't think the second floor is used as a hotel anymore. On the first floor is the restaurant El Kora Moriscos. The building was constructed in 1908. Its stepped parapet with a diamond vent on the front of the building reminds me of the queen of diamonds in Alice in Wonderland. Sometime in the 1950s, a shorter two-story addition was erected on the west side of the building. Not visible is a one story building adjacent to the hotel/restaurant. The arched doorways that you see on the left in the photo were probably open at one time and lead to the building, which is described an an annex. 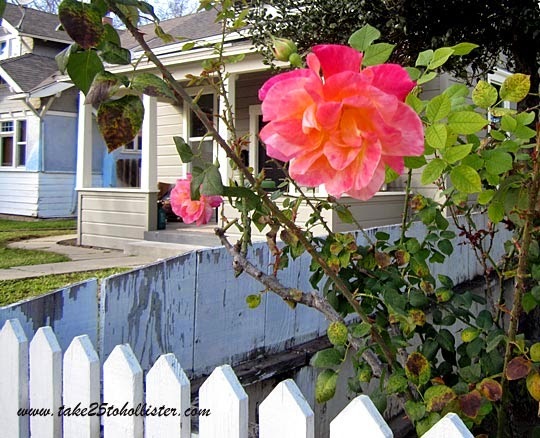 Built around 1940, the annex is also a contributing building to the Downtown Hollister Historic District.